Aer Lingus now flies from Dublin direct to Los Angeles four times a week. Flight times are really guest friendly with a 15.00 departure from Dublin, plus the only US Pre-clearance on the route, so it really is the smart way to travel to LAX. 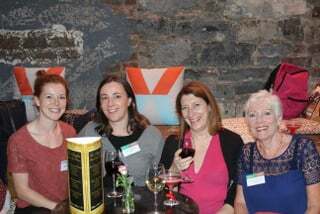 The airline hosted the trade to a LAX promotional evening, Hollywood-style, in SoderandKo in Dublin. The trade turned out in force and there really was a great ‘buzz’ in SoderandKo. Yvonne Muldoon, Aer Lingus Director of Sales, said: “Dublin to Los Angeles is a year-round service and is one of three new transatlantic routes for 2016 – we began a new daily service from Dublin to Newark, along with JFK it’s another great option if visiting NYC, only 40 minutes to downtown Manhattan; and we will soon commence our service to Hartford Connecticut at the end of the month, which will see Aer Lingus operate 28 daily services across the Atlantic. 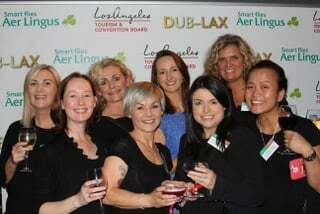 “Aer Lingus launched its new four times weekly service from Dublin direct to Los Angeles, California, back in May. The route has been performing in line with our expectations. “This growth underpins, Aer Lingus, Ireland’s only 4-star airline’s successful strategy of expanding its Dublin Airport base into a major European transatlantic gateway. The convenience of US Customs and Border Protection services at Dublin has enhanced the continued growth of Aer Lingus’s Dublin operation as a connecting gateway. 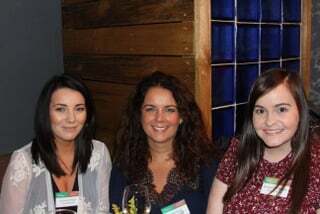 Sarah Slattery receives her prize from Yvonne Muldoon,Ivan Beacom,Jenny Rafter and Francine Sheridan,Visit LA. Four-night stay in the Garland Hotel. Breakfast at The Garlands restaurant ‘The Front Yard’ for two guests.